From Martin, Lynsay, Ryan, James, Ian, Jamie, Cherie, Glenda, Lizi, Vicki, Nuala, Eva, Leeanne, Chris and myself, we would like to wish all our customers a very merry Christmas and a prosperous new year. We honestly hope 2016 becomes the biggest and best of years for you and your business and we look forward to helping you along this journey. 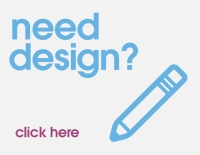 You’ll see this mentioned a lot by our team and on this blog over the next twelve months, but it is sincerely our goal to assist with the growth of your business but providing the highest quality design, print and advice we can. We know as you grow, we grow too and together we can become much better businesses. The Kaizen Team are off on annual leave until the 4th of January. however if you want to forward your orders to us over the break this is absolutely no issue. The orders will be queued in the order they come in and we’ll process these as fast as possible on our return in January. We have huge plans for the Kaizen Print brand in 2016 and all will be revealed very early on in the year when we start to make public our announcements. The ethos behind Kaizen is that you strive for better in small incremental changes and this is what we aim to do. With each day, week and month, it is our aim to develop our business, our services and products with the hope of better servicing yours. We wish you all a very merry Christmas, a prosperous New Year and we want to thank you for being our customers throughout 2015, 2016 and beyond.